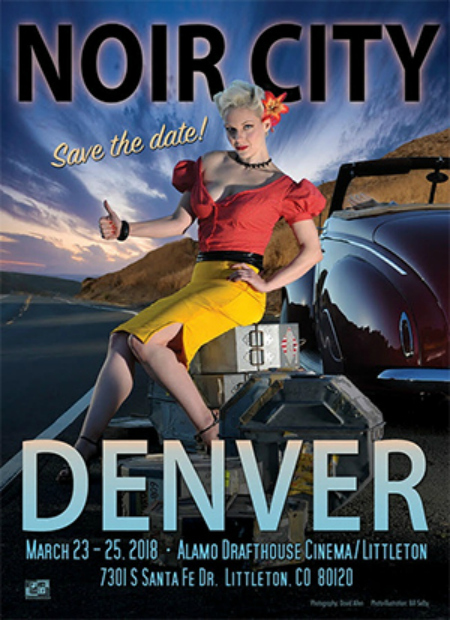 The Film Noir Foundation will be partnering with the Alamo Drafthouse Cinema in Littleton, Colorado, to present the first NOIR CITY: Denver, March 23 - 25, 2018, a three-day festival featuring ten films. FNF founder and president Eddie Muller will have a special co-host at this festival—legendary crime fiction author (and FNF Advisory Council member) James Ellroy, who will co-program the festival with the Czar of Noir. The schedule for NOIR CITY: Denver is being finalized now, and will be announced on the Alamo's website soon. Are Eddie Muller and James Ellroy going to be at the theater?